The Peg Perego Duette Classico stroller offers a smooth ride with the effortless steering wheel located on the handle bar, large wheels and suspension. Driving the Peg Perego Duette Classico stroller is a dream with the effortless steering wheel located on the handle bar. The larger wheels and suspension assists in the smooth ride over all kinds of terrain. Pair this stroller with a Primo Viaggio SIP car seat (sold separately) to create the perfect travel system, which attach directly onto the chassis. The stroller seats or car seats can be positioned facing forward, backward or at each other. 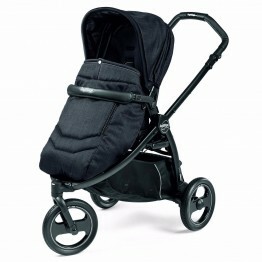 The Duette Classico includes the frame, individual stroller seats, hoods and leg covers for each stroller seat. The hoods have a loop to hang your baby's favorite toy. •Steering wheel handlebar effortlessly steers the front wheels. •Travel System compatible — two stroller seats or two Primo Viaggio SIP car seats (sold separately) attach directly to the frame. 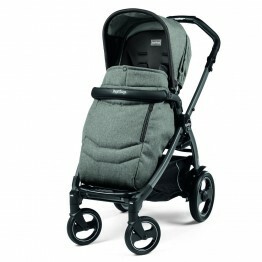 •Includes frame plus individual stroller seats, hoods and leg covers for each child. •Seats have fully reclining four–position backrests and two–position footrests. •Seats may be positioned facing the front, rear or each other. •Hood with loop to dangle baby's favorite toy. •Five–point harness “Freedom of Movement” allows child to freely move in all directions while being securely fastened to the stroller.